Austin, TX – April 2, 2013 – Access media files from any location while enjoying the security, privacy and unlimited storage of a personal server with Tonido. Developed by CodeLathe, the leader in personal cloud software and services, Tonido lets individuals watch videos, listen to music, see photos and open documents that are stored on their computer right from their mobile Android device. Users can now share their personal media without worrying about the privacy and security of their data. “When compared to the iTunes App Store, Google Play lacks high quality, tablet ready apps to stream personal media. Tonido for Android fills that void and allows the user to access their media collection, even their iTunes playlists, from anywhere. The Tonido Android app brings users an enhanced experience through pleasing aesthetics, effortless remote access and sharing. It is extremely simple to use and is perhaps one of the most functional and beautiful apps on the Google Play Store. It is a must have for anybody who has a large digital media collection,” said Anis Abdul, CTO of CodeLathe. Tonido offers users secure access to their home computer’s entire collection of documents, photos, music and videos from anywhere without having to upload it to a public cloud service. Individuals begin by downloading the free Tonido server app on their desktop and the free mobile app onto their Android device. Employing smart LAN switching technology to use gigabit access speed within home LAN networks, the app safely connects users to the documents stored on their desktop in seconds. Tonido also supports a wide range of video and audio formats including MKV and FLAC. 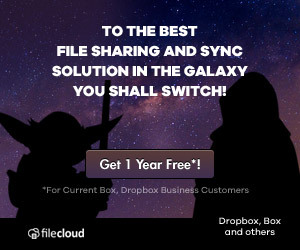 Users can also access their files via Wi-Fi or 3G mobile networks, backup their photos and videos from their Android device to their Tonido personal cloud and download files for offline viewing. “As Android devices set to overtake the iPad in market share, there is a clear need for Android apps optimized for tablets. Tonido’s new Android app is primarily designed for the personal consumption of media on a tablet. In some cases it is even better than our iPad app. More than ever, customers are realizing that their personal data is no longer safe in popular online services and they’re turning towards personal cloud services like Tonido for their remote access and sharing needs. The new Android app gives users one more reason to use Tonido Personal Cloud, where their personal data is safe and users hold complete ownership of their personal data,” said Madhan Kanagavel, CEO of CodeLathe. For more information on the Tonido Android app, visit: http://www.tonido.com/android/.